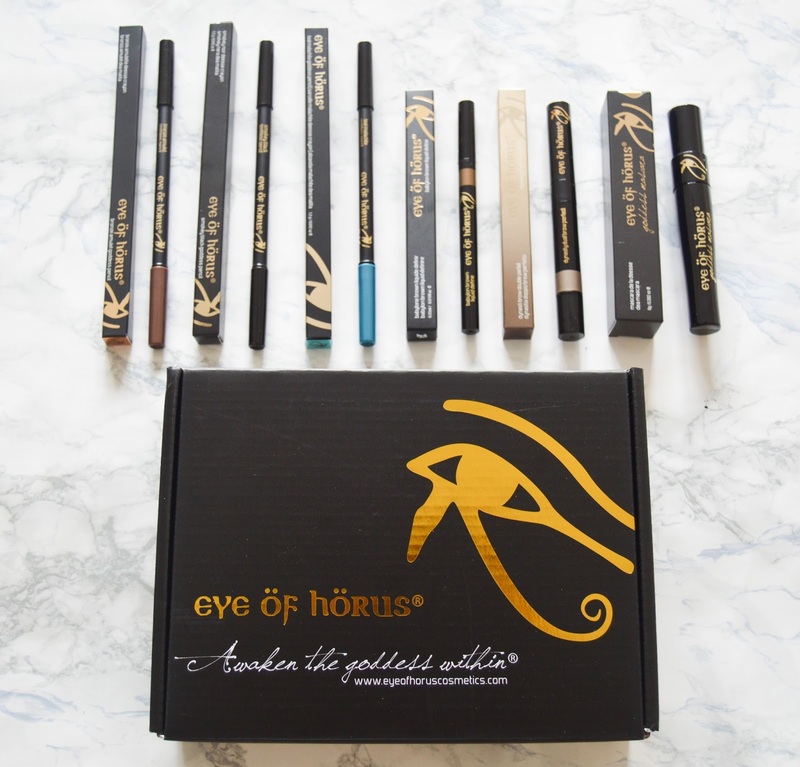 When I opened the package of Eye of Horus goodies I was super excited, it was filled with liners, a mascara and a brow product - staples in my make-up bag. I love the sleek black and gold packaging and was super impressed with how long the eye liner pencils were, giving you plenty of product. I trialled the Goddess Pencil Eyeliner, £17 first, they are their signature products. I have the classic black, teal and bronze shades. I was hoping for super pigmented creamy formulas but I was disappointed. The colour just didn't want to transfer on my waterline even after I went over it a few times. As for lining the lash line, they were okay but I much prefer my Rimmel Eyeliners, as they are softer and don't drag as much. The Goddess Mascara, £19 sadly was another disappointment. It did nothing to my lashes, which is a shame as the wand and brushes look really good. I had to quickly stick another mascara over the top to save my lashes before I left the house. I'll be binning this! The only product I liked was the Dual Brow Perfect, £15, it's an EXACT dupe for the new Soap and Glory Dual Eyebrow Pencil - same packaging just a different logo. 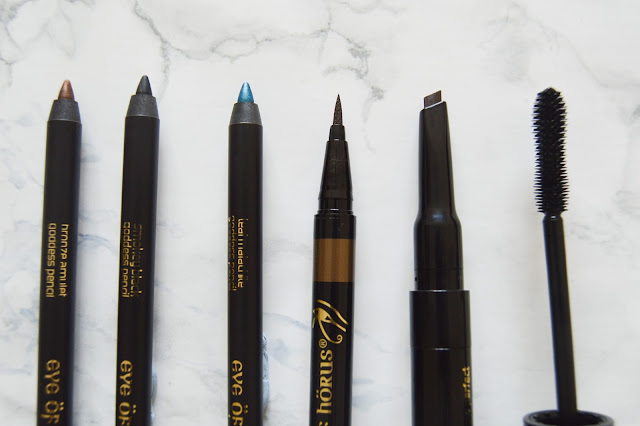 The pencil is a slanted perfect for creating those defined angles and the brow gel doesn't leave your brows crispy. Would I repurchase? No, I'd get the Soap and Glory one, as I can just pop to Boots. If you did want to try Eye of Horus products they are available on Beauty Bay. As you can see my reviews are always honest, even when the products are press samples! EDIT: After chatting to Georgina (foxonthahunt) on Twitter, she loved t the products, I decided to sharpen the pencils to see if that improved the pigmentation. It actually did!!! I'm not sure if mine had a funny film over the top layer to prevent the colour coming through but they seem better now. As for the mascara I still think there is no hope for that product.